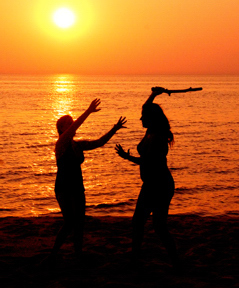 In America today, most people begin martial arts training for self defense reasons. Perhaps someone has been threatened or even worse, assaulted. Perhaps they read some news article or know someone that has been assaulted. There is no one "Best" martial art for self defense. Each martial art is unique and most are effective. It's more a matter of finding the martial art that best matches one's body type and personality. To continue studying past the point of martial effectiveness, something else must come into play.That something else is what martial arts are truely about. The concept of martial arts no longer exists in the main stream of Western thought. 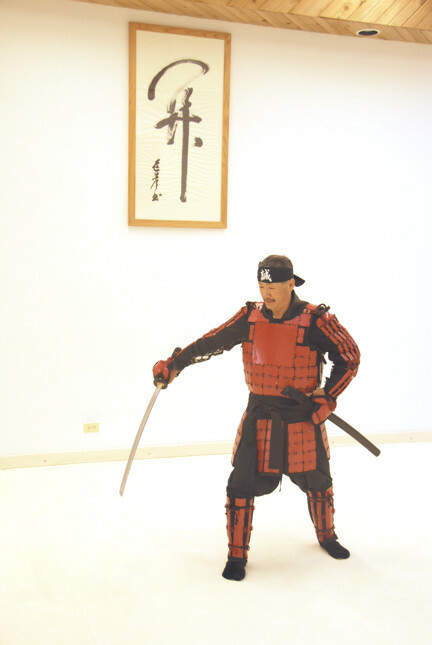 In the West, the tendency is to emphasis the "martial" or physical part of the training. In the Orient, there is another concept of using physical training as a methodology for spiritual enlightenment. In medieval Europe there were groups of fighting monks and Knights with strong religious beliefs that had similar ideals, but these groups no longer exist. The Bay Area Center offers several styles of martial art training to serve the Houston, Clear Lake and Galveston region. These programs contain different balances between the physical and spiritual development. Members are encouraged to experience the different martial arts we offer and select the one that best matches their interests. Learn from the highest ranked Aikikai Aikido Instructor in Galveston county, Walter Marker, 6th Dan. Our Aikido program is affiliated with the Aikido Association of America and Hombu Dojo in Japan. It offers a balance between physical training and spiritual training that favors the physical. WE teach Aikido as a practical Martial Art that emphasizes using the momentum of an attacker against them. Since Aikido never opposes force with force even a small woman can throw a large man by harmonizing with his attack and adding her force to his force. At an advanced level, the throws of Aikido become almost magical. While the movements of Tai Chi come from Martial Arts, the Art has evolved into a slow meditative art that is closer to moving meditation than practical martial arts. It is ideally suited for those who desire martial arts training without the physical demands of Aikido or Karate. The primary benefit of the practice is increased health, strength, balance and flexibility. In old Japan, Iaido was the art of the fast draw. Sometimes attacks came without warning. If the sword could not be drawn rapidly to block the attack, there was nothing else. However, since no one any longer carries swords, drawing the sword quickly to block an attack is no longer useful. Iaido has evolved into a meditative art that involves slow motion through a series of prearranged motions (kata). One aspect of our program that does retain the original martial aspect is our program of cutting objects with the sword.